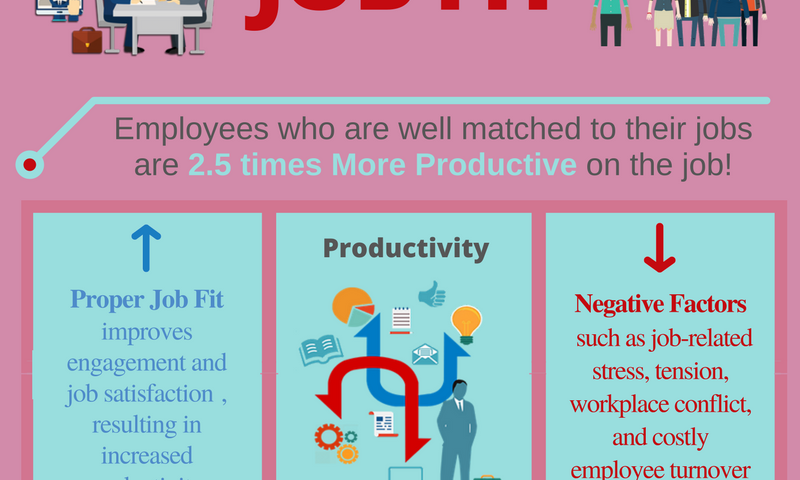 Studies show that proper job fit improves engagement and job satisfaction, resulting in increased productivity, while negative factors such as job-related stress, tension, workplace conflict, and costly employee turnover diminish. Organizations with a philosophy of matching people to jobs can get a leg-up on their competition. Having followed 360,000 people through their careers during a period of 20 years, a major study published by Harvard Business Review demonstrated that a key ingredient in retaining people is ensuring that they are matched to their jobs in terms of their abilities, interests, and personalities. The study found that when you put people in jobs where the demands of the job matched their own abilities, where the stimulation offered by the job matched their particular interests, and where the cultural demands of the position matched their personalities, staff turnover decreased dramatically, and productivity increased drastically. So, how should organizations get started? Only about 10 percent of a person can be observed on the surface. Ninety percent of a person’s potential lies below the surface. This large percentage includes things like learning style, behavioral tendencies, and occupational interests. According to Harvard Business Review, the "job matching" approach more accurately predicts job success than any of the commonly accepted factors, such as education, experience, or job training. Just because an individual was a high-performing sales person working for business X in California, does not mean that they will perform at the same level in a new role with business Y in Texas. A common misconception about establishing job fit, and/or assessing employees, is that people can answer incorrectly. In fact, there are no right or wrong answers, or pass and fail results. It is simply about establishing how suitable a person is for a role, and predicting their level of performance on the job. Just as no single person is perfect, there is no perfect job match; that’s why the highest match scale is 95 percent.